In March 2014, a local retired Doctor (whom I have never met) wrote the following letter which was published in the North West Evening Mail. “YET again you give space to James Titcombe following the tragic and avoidable death of his newborn baby son Joshua in November 2008. (Evening Mail, March 12). Is it not time for Mr Titcombe to let Joshua’s soul rest in peace? Mr Titcombe is not the only one whose life has been made hell by this affair. It does not seem to worry him that his activities may have caused more harm than good to the maternity unit at Furness General. Far from exposing the truth, he may have obscured it. He must have cost NHS many thousands of pounds in lawsuits, in enquiries and in the dismissal of senior midwives. Only malpractice lawyers can gain any satisfaction from this. 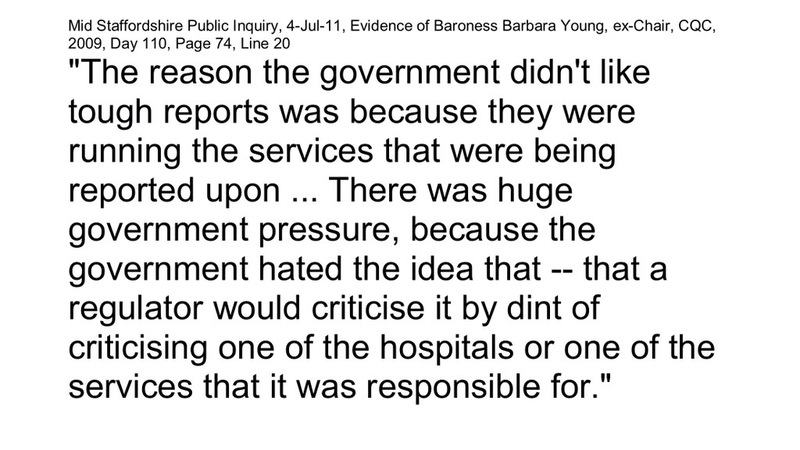 What if Mr Titcombe disagrees with Dr Kirkup’s report into the maternity services of Morecambe Bay Hospitals? Thank you for your letter which I read in the Evening Mail last month. I would like to respond as follows. The safety of maternity services at Furness General Hospital and the sustained failures in care that occurred at the unit over a number of years have, undoubtably cost the lives of innocent mothers and babies in the area. Whilst it may be uncomfortable for some people to read about such circumstances, it is surely better that the truth is heard rather than concealed and hidden? To lose a child in preventable circumstances is hard enough but to then face missing records and dishonestly regarding what happened is even worse. I have badly sougly to ‘lay Joshua’s soul to rest’ but this has been hard because following his death, the truth was hidden and the trust failed to learn from what happened. The Health Ombudsman recently produced an independent report confirming that the trust’s response to Joshua’s death was dishonest, inadequate and that the necessary learning did not take place. It is only through campaigning hard (against the mindset of individuals like you) that this acceptance has been reached. This can only be a good thing as it is only through establishing the truth that the NHS will learn and make changes to ensure others don’t have to suffer in the way we have. You say ‘Mr Titcombe is not the only one whose live has been made hell by this affair’. This is true; the number of other families who have lost loved ones due to ongoing unaddressed risks is staggering. It is unforgivable that following preventable mother and baby deaths in 2008 and before, the same ‘significant risks’ that contributed to those deaths were allowed to continue. This happened in part because people turned a blind eye and hid behind the kind of arguments you regurgitate in your letter. Your penultimate paragraph is somewhat naive; you say “He must have cost the NHS many thousands of pounds in lawsuits, in enquiries and in the dismissal of senior midwives.” The exact opposite is true. The NHS spends more than £500 million per year on litigation because of avoidable mistakes in maternity care. What happened at Furness General Hospital, including Joshua’s death, highlight that the systems in place to ensure lessons are learned and safeguard other families from the same mistakes happening again, failed. Because of this, changes are already starting to happen. For example, the system for midwifery supervision is now being reviewed nationally. I have no doubt that the Kirkup investigation will further expose failures in the systems that should have been there to ensure babies like Joshua had appropriate and safe care in the first place. Ultimately, this will lead to further changes to ensure the NHS places a higher priority on patient safety and has effective systems to ensure that healthcare professionals are honest when things go wrong, with the priority being to learn not cover up. Such changes will save many times more than the cost of the various inquires and investigations and will ultimately lead to less litigation (and avoidable human suffering), not more. Your letter has highlighted to me the importance of continuing to campaign for change and I will do so until eventually the kind of mindset your letter exposes, becomes a relic of a bygone and misplaced past; a culture that future generations will look back on with incredulity. This entry was posted in Uncategorized on February 1, 2015 by patientsafetyfirst.